Over the years, we have seen some strange ways that people have attempted to sneak drugs around. One route is the “We’re the Millers” way, where you take an RV, pack it to the brim with drugs, and drive it across the border without a care in the world. Then, there is the old “brick of cocaine where the airbags were” trick. 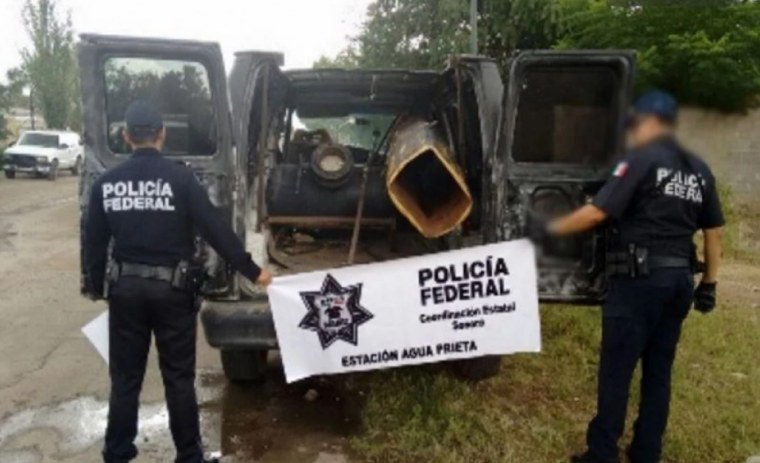 Or, as the Mexican police have found, some have opted for firing drug bundles out of a huge, makeshift, van-mounted air cannon across the border. 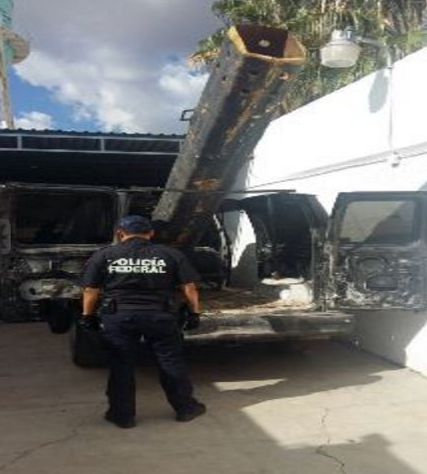 Police found the van in Agua Preita, a city in northeastern Sonora, a state which shares a border with Arizona. Officers became suspicious when the van had no license plate and the doors had been left open. Inside was an air compressor, a gas motor, an air storage tank, and a 3-meter long (that’s almost 10 feet for us in the US) metal tube. The roof in the rear of the van had been cut away to allow the barrel of the air cannon to aim up and out of it. The Mexican authorities didn’t say whether they know for sure that the cannon was used for drug smuggling, but the same method of simply lobbing drugs over the border for co-conspirators on the US side of the line to pick up is common, with the most used method being tossing softball-sized bundles of marijuana across into people’s backyards. Then again, given that it was a giant air cannon, I can’t think of something else it would have been used for, unless the van was used for mass dispersal of t-shirts at concerts or launching 50 pounds of streamers at a carnival. Then again, given that the Mexican authorities described it as a “homemade bazooka,” probably not.